Here’s our season 9 home schedule as it currently stands. 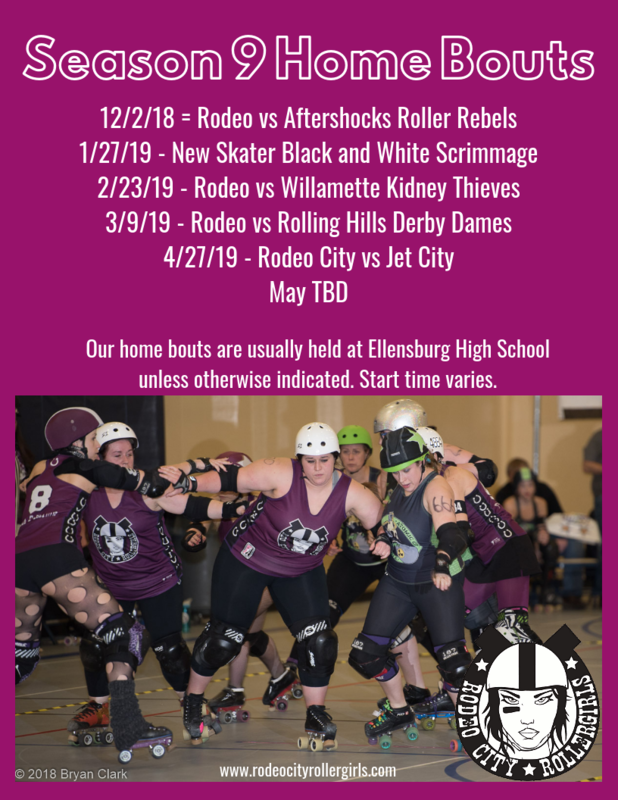 Our first home bout is against the Aftershocks Roller Rebels on Sunday, December 2nd at Ellensburg High School. Doors will open at 11:15 a.m. and the bout will kick off at 11:45 a.m. Please bring a nonperishable food item to enter. Donations will go to FISH Food Bank.